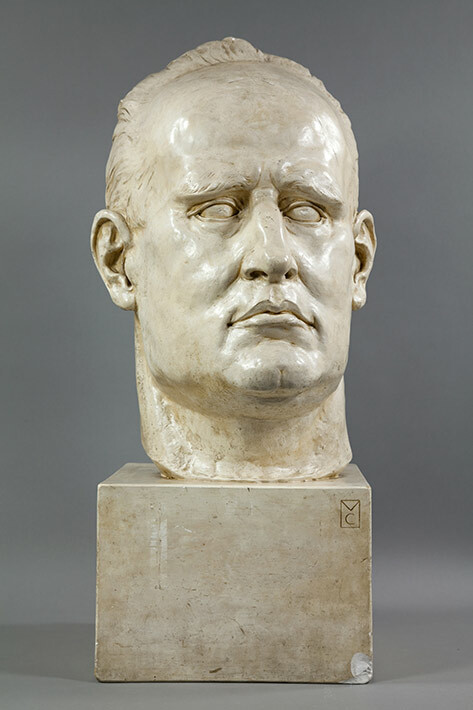 This bust was found in the basement of the former Italian consulate after World War II. It was anonymously donated to the Vancouver archive following a mysterious telephone call to the City Archivist, Major Matthews. The bust is the work of renowned sculptor, Charles Marega, (1871-1939), the sculptor of many of Vancouver’s landmarks, such as the lions of Lions Gate Bridge.